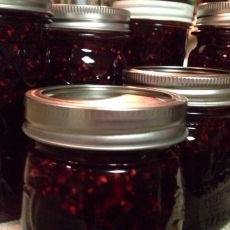 Have you made Blackberry Jam? 1. 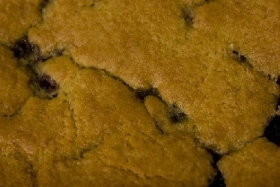 Pour half of the blackberries into saucepan; cover and cook over low heat for about 10 minutes or just until softened. 2. Crush and press through sieve or food mill equipped with fine disc. 3. 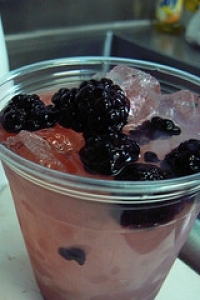 In large heavy saucepan, combine blackberry puree with remaining blackberries. 4. Crush; stir in lemon juice and sugar. Bring to full rolling boil over high heat and boil vigorously, stirring frequently, for 10 to 12 minutes or until jam sets. 5. Remove from heat; skim off foam. Stir for 2 to 5 minutes to suspend berries throughout jam. This recipe is a good source of Vitamin A with 10% of your daily recommended intake per serving. 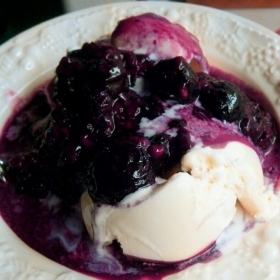 This recipe is high in Vitamin C with 92% of your daily recommended intake per serving.